Germany has delayed signing the ACTA treaty on intellectual property theft after its Justice Ministry voiced its concerns about the legislation. It is the fifth EU country to challenge approval of the debated treaty. ­The Justice Ministry said that the European Parliament should vote on ACTA before it is considered by the state’s parliament. 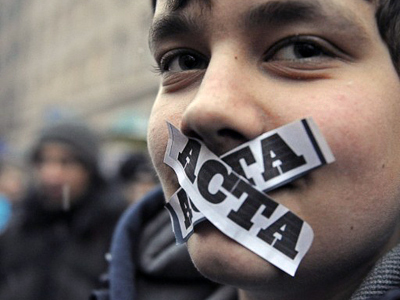 Three of Germany’s parties, the Pirate Party, the Left Party and the Greens, have also spoken out against ACTA. German protesters are expected to stage demonstrations in over 60 towns across the country, joining the international day of action against ACTA on February 11. Earlier, four European states, Poland, the Czech Republic, Latvia and Slovakia had delayed their ratification processes. The countries saw major protests in the streets. 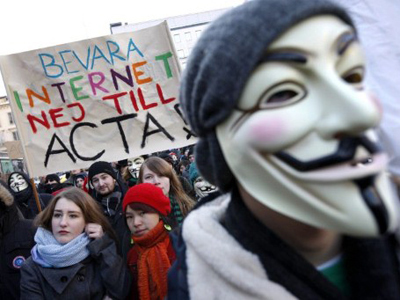 Critics of ACTA accuse its authors of hammering out the agreement in secret and say the deal will limit online freedom of speech. On January 26, the controversial ACTA treaty was signed by the 22 of 27 European Union member states, and the EU itself. It now has to be ratified by the European Parliament and is scheduled to be debated in June. 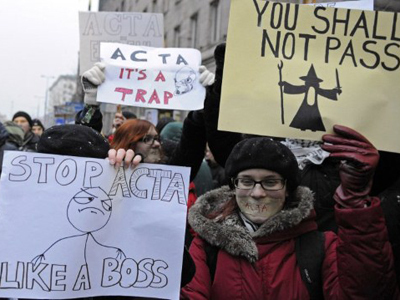 The EU countries that have not signed ACTA include Germany, Cyprus, Estonia, the Netherlands and Slovakia. The treaty has been strongly criticized with demonstrations taking place in many countries across Europe. 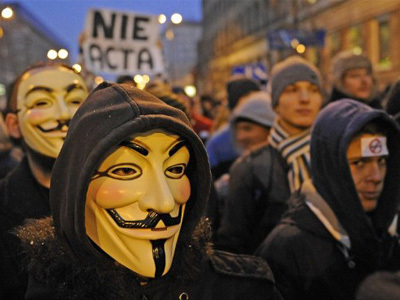 The largest rallies took place in Poland and the Czech Republic, where tens of thousands of people took to the streets, while many more joined online action against ACTA. ACTA is an international agreement aimed at protecting intellectual property. It shares similarities with the Stop Online Piracy Act (SOPA) in the US, which was shelved by lawmakers after a partial blackout by Wikipedia and Google in protest. The ACTA treaty was negotiated by industrialized countries struggling for ways to fight intellectual property theft. The US, most of the EU, Australia, Canada, Japan and several other countries have signed the treaty. A total of 31 countries across the globe have signed ACTA so far, but none of these signatories have ratified it yet, which is a necessary step to make the agreement viable. As soon as ACTA is ratified by six countries, the convention will come into force.